Apogeum Price Action is a fully automated Expert Advisor that features a custom algorithm for recognizing the price action and origination of a trend. The system does not use toxic trading methods, such as martingale, averaging of losing positions or scalping (the profit level for each deals is medium-term). It also uses fixed Stop Loss and Take Profit values. Apogeum Price Action is an investment strategy, designed for long-term use with medium-term trading style. Due to this, the system operation results are less dependent on the type of client account (ECN, STP or other), level of spread, commission and slippage, which provides a greater stability in operation. M15 - currency pairs supported on М15 (AUDUSD;EURAUD;EURJPY;EURUSD;GBPJPY;GBPUSD;USDCHF;USDJPY;XAUUSD). М30 - currency pairs supported on М30 (AUDUSD;EURAUD;EURJPY;EURUSD;GBPJPY;GBPUSD;USDCHF;USDJPY;XAUUSD). Н1 - currency pairs supported on Н1 (EURAUD;EURJPY;EURUSD;GBPJPY;GBPUSD;USDCHF;USDJPY;XAUUSD). Special Symbol - activate the Special symbol mode (for example: if your broker uses GOLD instead of XAUUSD, attach the EA (with the One Chart Mode disabled) to the chart and enter "XAUUSD" in the Special Symbol Name field). Special Symbol Name - name of the special symbol. Apogeum seems a decent choice for the conservative investor. Even during the low-volatility 2018 it gave no losses (and many other trend/impulse system gave big losses). Hope in 2019 it will bring some profit. Will update my review later. We can criticize and blame Apogeum and Ivan, but as for me the system deserves the highest rating! And the main thing it is the Ivan’s wor! The author is constantly working on improving and updating the system. The latest update is really hard work, not just re-optimizing and adding parameters as others do. Ivan rather made a new system, but not an update, and for that a huge thanks! P.S. Having read the reviews of some people I can not understand them and do not comment. @Saya pann and others, you don’t understand what the system is and how can you judge it on several days and trades, when it’s a longterm? Open a backtests, analyze a portfolio and you will see. You just buy EA, not realizing what it is and how it works. It’s not for newbie. Looks great and very promising! I migrate to Apogeum Price Action from Apogeum Conservative and believe results will as good, as there and better! Ivan, your EA's are Great, you are Great developer! I was one of the first to buy APA. Since then a lot of changes and updates have been done. It was a bit disappointing, cause in the whole one year that has passed, I didn't actually traded APA live, just only a couple of weeks, and moreover, it was one of the most expensive products in my purchases list. Ivan worked very hard and was very keen on stabilizing the EA, while still keeping its robustness, which was the main reason for me to buy it. Now Ivan has moved the system ver. 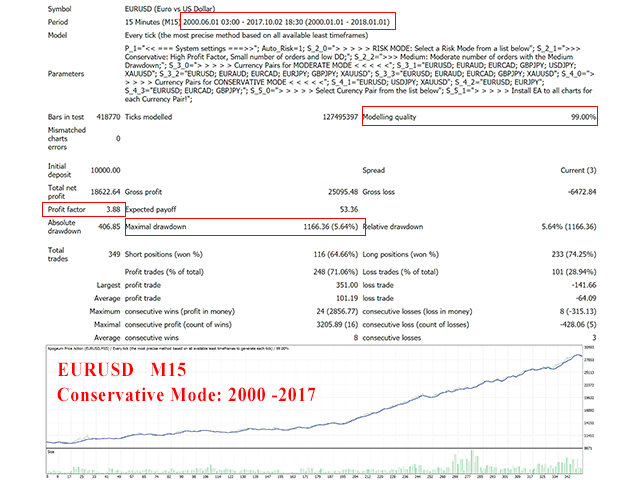 5.0, in a whole new era, and by losing no time, he incorporated 2018 year's unique nervous behaviour in the history of nearly 18 years on forex market. We are yet to see forward results, but now I feel it is the right time to give my review of 5 stars, not only for the product itself, but also for the author's endeavour, hard work and focus. 6. Профессиональный и честный автор, зарекомендовавший себя другими система. I am using Apogeum Price Action few month. It's a really very professional and difficult system. 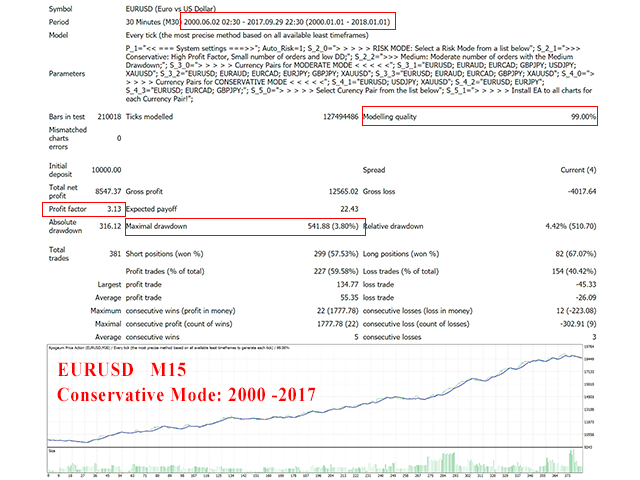 Everybody have select a correct money management and trading pairs - not all are good (EURCAD and XAUUSD generate losses), but another pairs are perfect! The author provides excellent support and regular update the system. Not all trades are profitable, drawdowns are possible, but it's a normally for longterm systems. It isn't a scalper or martingale, which have only profit and a flat profit chart and then crazy DD. Apogeum Price Action can have a long stagnation period, a lot of small losses and then - big profit, when the trend will be catched. I hope system will give me a profit for a long time! We are using Apogeum Price Action since January. I'm sure there's no sense in explaining what is a Price Action - this kind of strategies not for newbie. First of all, we don't use CFD (GOLD). There are no any sense to use system at small accounts: $1000-2000 for start, but unlike scalpers it can be used at big accounts. Apogeum Price Action wait for trends and catch up profit very good. We know that 70-80% of time at Forex low volatility (flat), so any price Action have a stagnation, so don't wait for profit every day. As you can see, all trades have a fixed SL and TP. Max TP size nearly 150-200 pips. Also all trades have max lifetime - 48 hours. So if you want stable longterm system, it's a good solution! 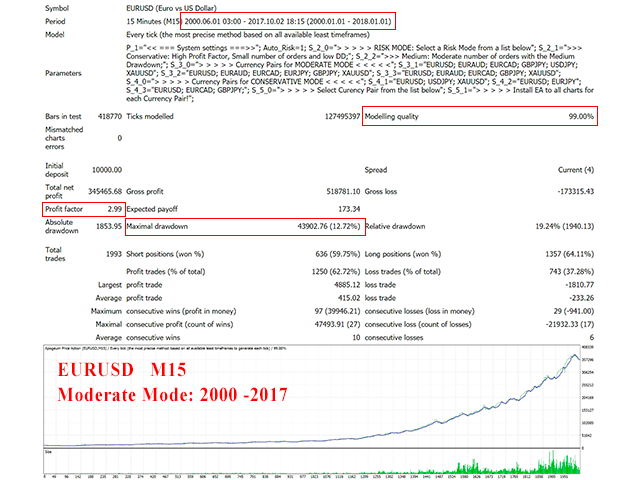 It isn't a Fake system, like 99% at MQL5. $750 is a very honest price for this kind of systems. Here are many 1 star reviews from people, which don't understand what is it and also, I am sure, they don't know what they are doing at Forex. I recommend Apogeum Price Action for everybody, who are going to get a profit. Apogeum Price Action is a very good expert advisor for a longterm - much more better, then another PA systems from a market! I am using it since January - just be quiet and you will get a profit. The system does not open many trades - only after strong impulses. For example, I have used another Price Action EA from a market (Momentum, SFE). It were terrible: only a losses over 1 year. Unlike another systems, Apogeum is a very conservative system, so for me it's much more better. @Saya pann, are you kidding? It's a longterm EA - this kind of systems are working only during power trends! It haven't trade everyday and make profit everyday, like scalpers. I bought this EA and dumped after a few days of use as keeping on loosing. The system has been updated too many times with no improvement, forget all the backtests doesn't work on real account. There will be relatively long-term losses, but the retracement is not too high, it is relatively stable over the long term, but the price is slightly higher, and the effect is not as good as many cheaper products. But for the moment 1 star, Backtests looks good but live trading are really bad. I bought it so Im going to give it a bit more patience, Maybe the market is not right for this ea. 24/02/2018 Until now, the good rating of Apageum Price Action did not reflect the real work of this EA. Very expensive and no profit at all. There is also NO confirmation that the backtest results gives any prediction of profit in the future. You need an account balance greater than 1500€ otherwise the risk is too high. Im giving two stars for potential. But there is some major downside with this EA that needs to be worked out. Very big discrepancies between brokers. his accounts receive no bad trades while live ones do. Even on demo (so it is not slippage - as there is no slippage on a demo). Second, the risk management is quite dangerous, even on low risl. 30 trades can open in a day and if all baskets hit a full SL, your account is going to suffer big. Maybe this is the worst case scenario, but please be careful as here are some serious hidden risks. 2 stars as Ivan has potential to improve it. by far the best money i have yet spent on an EA. The backtests correlate with real life, and the return/risk ration is amazing. This outperforms every other price action system i have yet tried. Thank you Ivan for your excellent work! I am using Apogeum Price Action for a one month. Firstly - it isn't a scalper and this is the main advantage. If you ask why there are no a lot of trades, why system isn't making 100% per day and etc - it's a real PRO trading system, not a tester graal as a 99% of EA at MQL5. System is a really very clever and safety. I am using another 2 Price Action from this site: when they open a lot of trades and then get a losses, Apogeum - outside the market! Apogeum Price Action have a really high quality of entries! Impressive backtests, good first results at real - Apogeum Price Action really is a professional and longterm system! I sure it will work for a lot years! 2 month with EA. Good Perfomance. Good profit at GBPJPY and USDJPY last week! Excellent service from the author always very responsive. Very motivated to help others which goes with his EA performance. I feel like Ivan never sleeps and always answers question. Great Ea so far, I will update in future. Can't wait to see what he comes out with next. I am using Apogeum Price Action for 2 month and now I can say, that it's a best system at market (I am using a lot of systems from a market and another one popular Price Action from a TOP too). Really professional and very safety! There are not a lot of trades, but their quality is a very good: I have 72% of Wins - for Price Action and longterm it's looking impossible, but it's true :) Profit Factor over 2.5 and Expectency 50+ pips!!! If you want a longterm stable system and perfomance at future (not only for a few month), if you want to invest your money and get a results - Apogeum Price Action is a best solution for you! 04 / 12 / 2017 - I use Apogeum Price Action for one month. Now it's a main Price Action system at my portfolio. I am using 2 another Price Action systems from a market (you can check review), but in my opinion their results are worse, then Apogeum. Why? They are very crazy and make a lot of orders. Apogeum Price Action very carefully and have trades only at power trends, so Profit Factor higher. Apogeum have closed November with the good profit, when another Price Action from TOP with the losses. If you are looking for a longterm investment strategy, I can recommend you Apogeum Price Action. It's a high quality and safety system! 2017.10.17 - I really liked backtests of this EA and the mechanics behind it. I've rented it today to see if the backtests will be same same as real life performance of this EA. Will update my review later! - Money Management: Added the features to set the size of the balance (Custom Balance) to calculate the risk.